(32 reviews) Write a review! The Callaway Great Big Bertha Epic driver features a new, epic shift in how the head and face behave together to enhance power. Featuring Callaway’s Jailbreak Technology, which positions two ultra-light titanium bars behind the face, you can be sure that your drives will be longer and you will have more control over your shots. The new aerospace-grade, titanium Exo-Cage has left the Epic with the lightest crown that Callaway has ever produced at 9.7g. 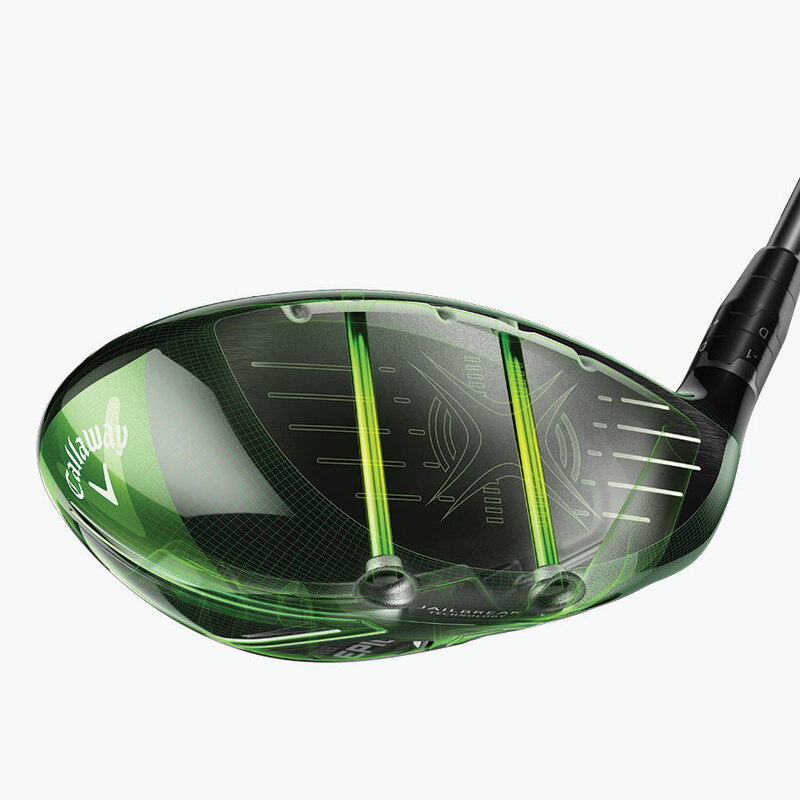 This gives the driver a high MOI and a low CG that makes it easy to launch the ball on a strong, low-spin flight. Adjustable, Perimeter Weighing technology features a redesigned track system with heavier (17g) weights to deliver 21 yards of shot-shaping ability—a 22% increase over the Great Big Bertha. Any golfer who picks up this club can expect to find more speed, distance, and control with the Great Big Bertha Epic. Does this come with the wrench? 22 out of 28 people found this review helpful. It would really be nice to be able to see the club that I was purchasing! Got a Epic Driver that had a hugh mark on the top of the driver that no one would ever want to look at for $259.00. Also, the shaft was all gashed up. I know it was rated VALUE but it wasn't even worth $100. Purched the Epic Driver as Good condition and arrived in Excellent condition. So far all my purchase with Global Golf have been extremely positive! 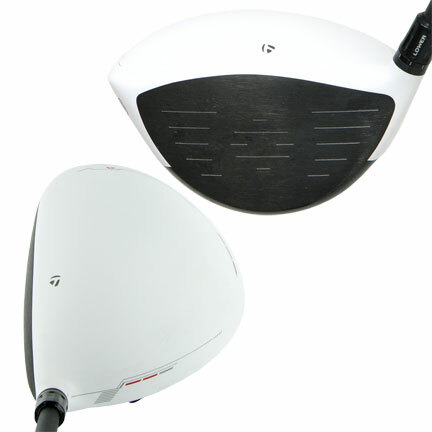 Clubs are advertised correctly with fair pricing. Wil purchase again. This might be the best club I have ever hit. I have no confidence when stepping up and teeing up a drive, but with the Epic it was effortless to get decent distance and on good to great hits I was seeing the highest ball speeds and longest distances I've gotten in my entire decade of playing golf. Epic doesn't even come close to describing it, I'd say the English language needs a new word even more amazing, awesome and spectacular than EPIC!!! Best driver ever! Has a great feel when the ball is struck. Longest drives of my life! Could not be happier! Callaway uses new “Jailbreak” technology in the GBB Epic driver. Two bars are placed behind the face, connecting the crown and sole. This reduces flex at impact and transfers that energy to the golf ball, increasing ball speed and distance. 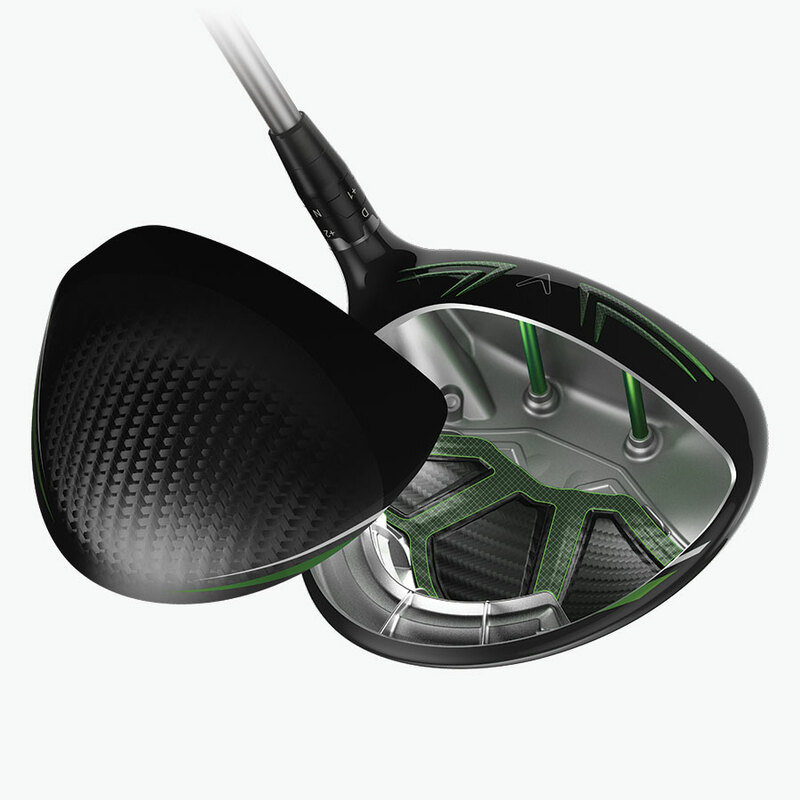 The GBB Epic driver is made of a titanium exo-cage and triaxial carbon. This makes the head lighter. The saved weight is redistributed to create more forgiveness. Callaway redesigned the adjustable weight on the sole. They made it 7 grams heavier than the Great Big Bertha driver. The redesign allows for more shot-shaping control. 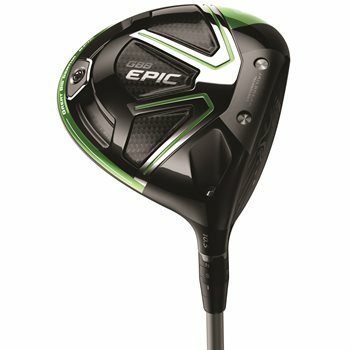 The GBB Epic driver features 4 stock shaft options in various weights; Aldila Rogue Max, Fujikura Pro, Project X HZRDUS, and Mitsubishi Diamana Green. 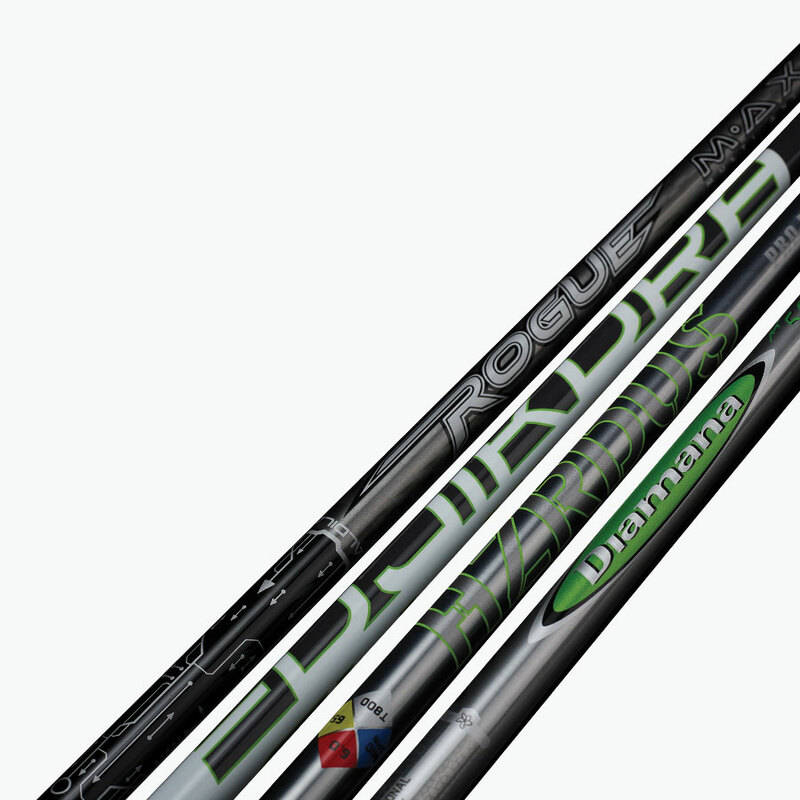 More custom shafts are available for no up-charge. 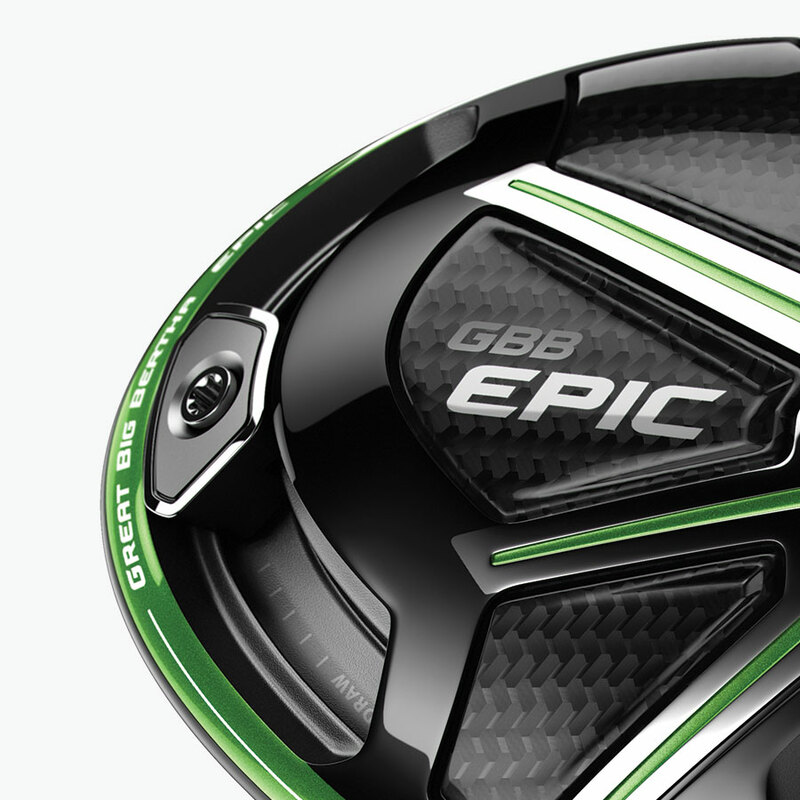 Read more about the GBB Epic driver here.